When I first traveled for work after becoming a mother, my toddler son asked my husband: “Is Mama dancing?” As far as he knew, when I was not at home, I was in one of my dance studios. The funny thing is that I am only an amateur dancer, with moderate talent and skill. But I wasn’t dancing to entertain anyone those days. I was dancing to live. Becoming a mother nearly killed me. That sounds melodramatic, but it’s true. It wasn’t the birth, although by the fourth day of labor I was sure I would die in that Dallas hospital with my baby inside me. I have the fortune of living in a time when women can labor naturally for days without painkillers, push for hours, and still come out alive and with a healthy child. Cut up, slightly out of their minds, but alive. No, it was the months that followed that drove me to the edge. The trauma of the birth, sleep deprivation, plus the stress of an international move from Texas to Berlin meant I had to fight hard not to hurt my son or myself. What saved me was bellydancing. In fact, I had danced throughout my pregnancy. As a scholar, I am skeptical of the origin myths surrounding bellydance, stories about ancient women’s birthing rituals, Egyptian pyramids, Isis-worship, and the inevitable harems. But as a pregnant woman, I found the flowing, organic movements of bellydance ideal for aches and pains, and they made me feel beautiful in my growing body. I went so far on the Mother Goddess trip as to dance through most of my epic labor, first at home, later at the hospital, my portable speakers filling the ward with Middle Eastern music. I felt confident, in charge of my birthing experience, until I wasn’t anymore. The endless pelvic circles and shimmies only delayed the inevitable caesarean, and the marathon left me too exhausted to deal with surgery or a new baby. Months later, when I dragged myself to my first dance class in Berlin, I had a very different relationship to my body. Oriental dance features precise abdominal and pelvic articulations, but my stomach muscles had been stretched and sliced. One teacher, Amira, began every class with intensive Pilates-based abdominal training. Every time I tried and failed to follow along, the pain in my pelvis reminded me of my body’s uncooperativeness and I struggled not to cry. In Suzan’s class I was often the biggest woman to tie on a hip scarf, having gained weight while nursing. During pregnancy, when some women feel ungainly, I had felt slender and graceful – my reckoning came afterwards. And yet it must have been my survival instinct that led me to those Berlin studios. Dancing was my only chance to feel like a human being. This was a time when I stood far from open windows if I was holding my baby, and when the episode of Downton Abbey in which Sybil dies in childbirth kept me in a state of anxious insomnia for weeks. My neighbors had all-night parties with loud techno music, and I would lie in bed plotting their death, until I inevitably realized I was too tired to come up with something the German police couldn’t trace back to me. I was convinced I had made the worst mistake of my life, that my career was now over, and that I would never learn to love my son. But in dance class I was not a mother or scholar or the monster I felt like, but a person who was concentrating on how to move again. My instructors thought they were teaching me dance technique, but they were really teaching me how to be this new person I now had to be, in the body and life I now had. A third teacher, Raksan, guided us through contact improvisation exercises. While I had my eyes closed, a fellow student would lightly touch my elbow or shoulder or the back of my knee, and my body had to react instinctively. We were not allowed to plan or anticipate, but had to move spontaneously. It was practice necessary for oriental dance, which at its best is improvised to live music, but it was also practice for motherhood. In parenting, as in bellydance, strict choreography will only get you so far. Class taught me other survival skills too. I learned it was all right to be away from my child, even just for pleasure. I danced with older mothers and grandmothers who encouraged me to be kinder to myself, more forgiving, more relaxed. They had reared their kids and gained their share of weight and wrinkles, and they knew how quickly childhood passes. I still mourned the old me, the woman who was sharp and efficient, but the new me could apply fake eyelashes and dance in front of hundreds of people at a street festival, and that was something. Irina Dumitrescu (@atishehdance) writes about food, dance, and literature. She blogs about dance and movement at atisheh.com. Her essays on immigrant cooking and food fusion have appeared in The Yale Review, Southwest Review, and Petits Propos Culinaires, and are available at irinadumitrescu.com. 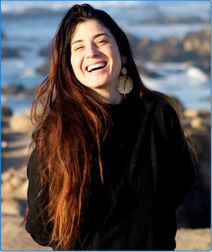 Ring in New Years 2016 with Jen Pastiloff at her annual Ojai retreat. It’s magic! It sells out quickly so book early. No yoga experience required. Just be a human being. With a sense of humor. Email barbara@jenniferpastiloff.com with questions or click photo to book. NO yoga experience needed. Just be a human being. There’s No “Making It” In Life. 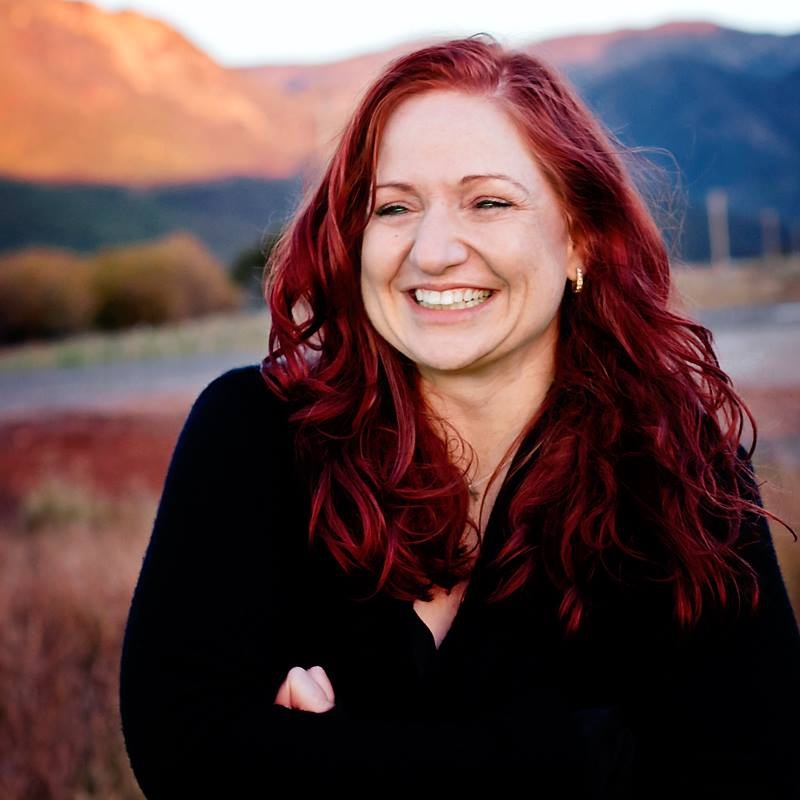 Guest Post By Amy Esacove. 9 hours ago by jenpastiloff Do you accept the challenge? ?